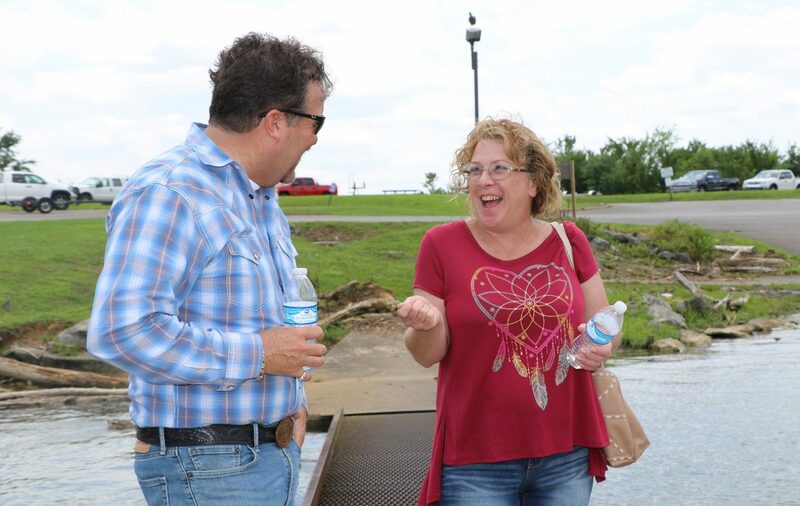 “This is where we had our first date nearly 27 years ago,” explains Amanda, wife of Machinists member Randy Thomas. She’s talking about Fate Sanders Boat Dock in Mt. Juliet, TN. “And he’s spent almost every weekend here since that day, fishing,” she says with a giggle. 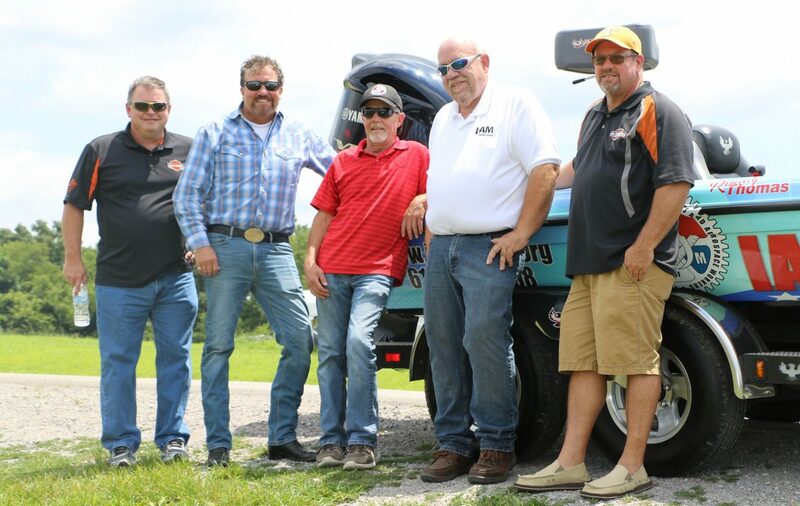 Randy Thomas, vice president of IAM Local 735 has been fishing, literally all his life. 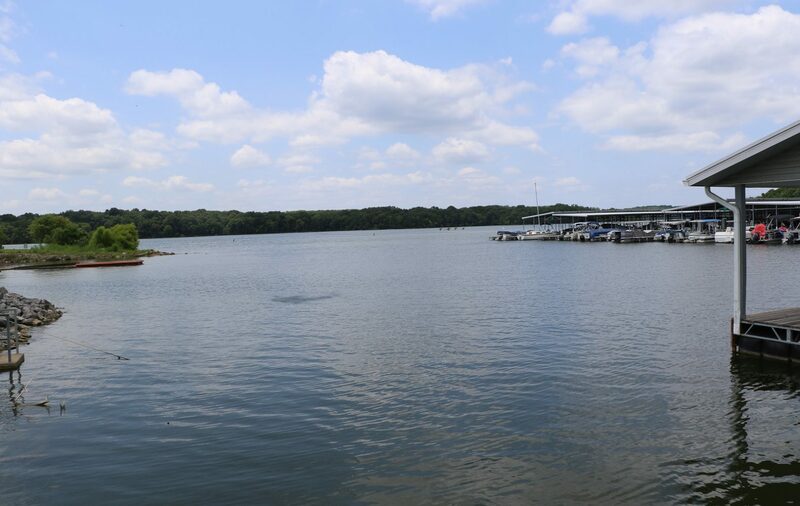 “I remember the mornings when my Dad would say we were going out on the lake. I would be awake hours before everyone, sitting in the dark, dressed and ready to go with my pole by my side,” said Thomas. 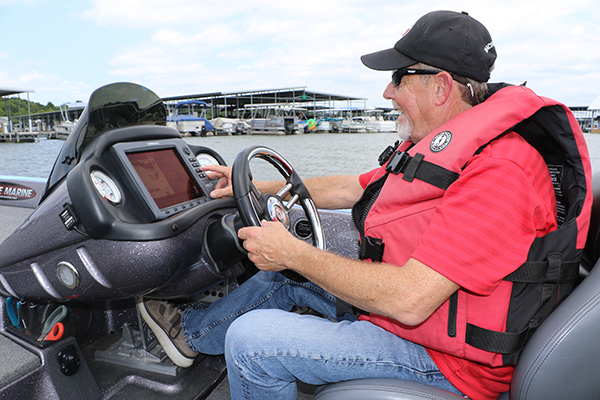 This lifetime of casting led Thomas to participate in the Renegade Bass Tournaments where right now he’s leading his division. 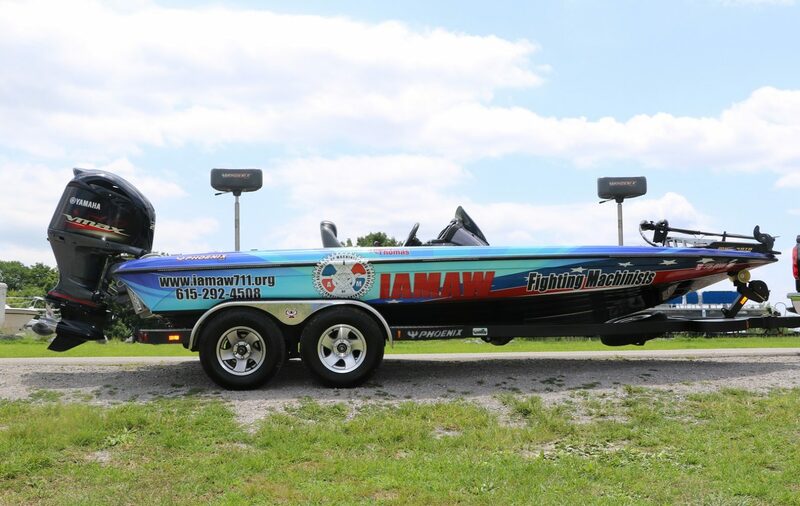 So when he approached the IAM Southern Territory General Vice President Mark A. Blondin to sponsor his boat for the tournaments, Blondin knew this was a great opportunity to get the word out. 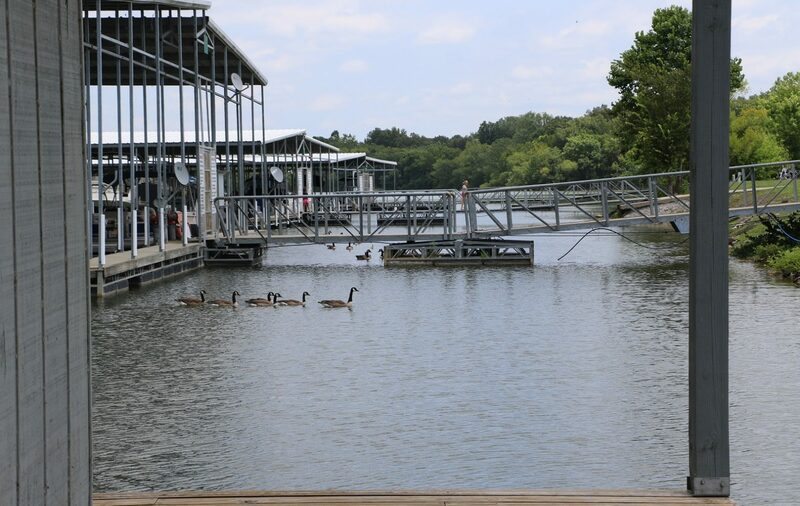 “Randy competes, and often wins, in fishing tournaments all over the state of Tennessee. So it just made sense to showcase the talents of this hard-working IAM member with the Fighting Machinists watching his back,” said Blondin. “Using what our members do when they aren’t on the job is one of the best tools we have to organize. Our members are hard-working, salt of the earth men and women who make this country hum. We are community figures, religious leaders, little league coaches, teachers, sportsmen…the list goes on and on. These are the characteristics of the IAMAW and because of this, we are proud to sponsor one of our own in his endeavors,” said Blondin. 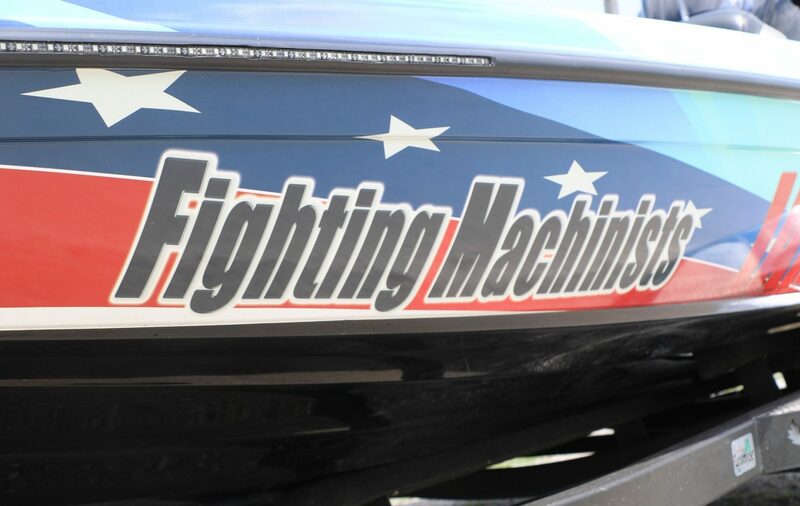 In the end, Thomas gets to keep doing what he loves and now gets to do it with the words ‘Fighting Machinists’ emblazoned on the side of his craft, helping to lead him to the winner’s circle.